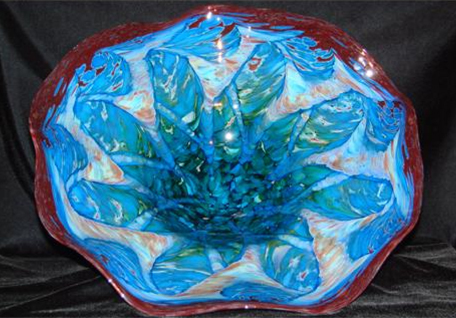 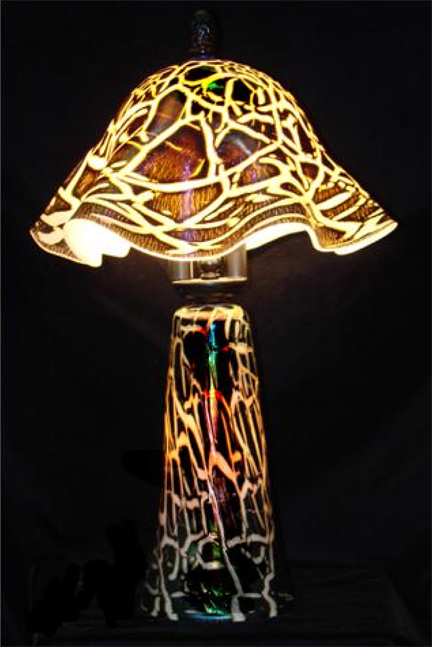 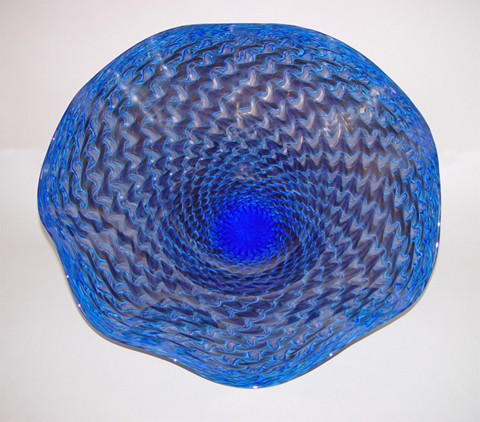 From Callahan Mountain Studios in Northwest Arkansas, Ron Mynatt creates hand-blown decorative and functional glass pieces with the emphasis on form and pattern. 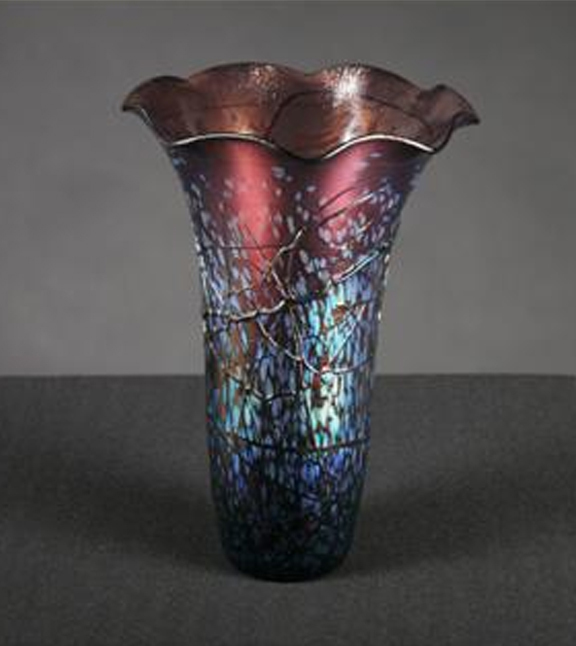 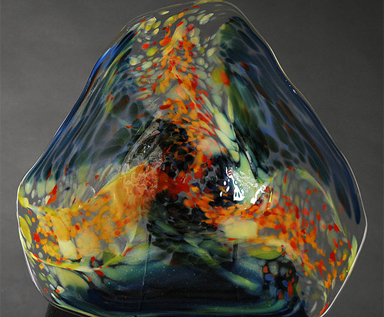 His work varies widely including large and small vases, bowls, paper weights, ornaments, and perfume bottles, to name a few, as well as custom glass creations. 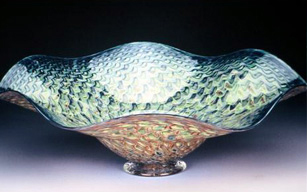 Intricate use of color and attention to the interaction of transparency, reflectivity, and color sets his work apart. 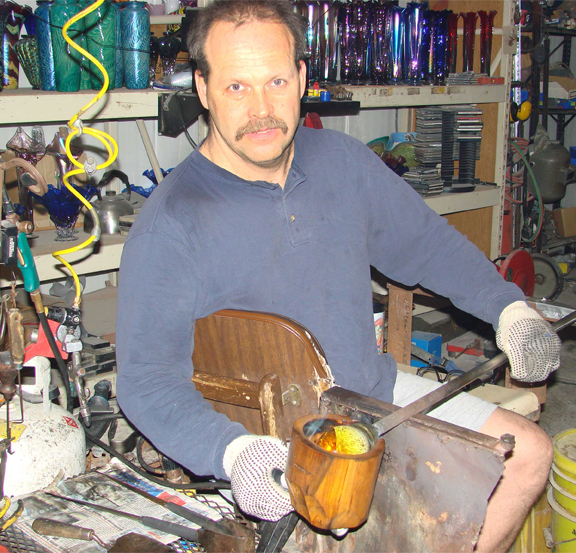 Ron makes glass from sand, soda ash, limestone and a few chemicals, melting them at 2350°F. 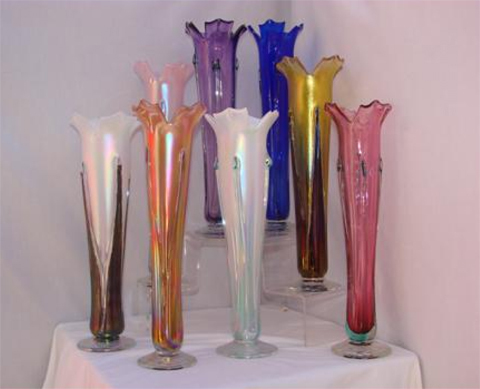 Colored glass in powdered form from Europe is added to create just the right tones and shades for each piece and pattern. 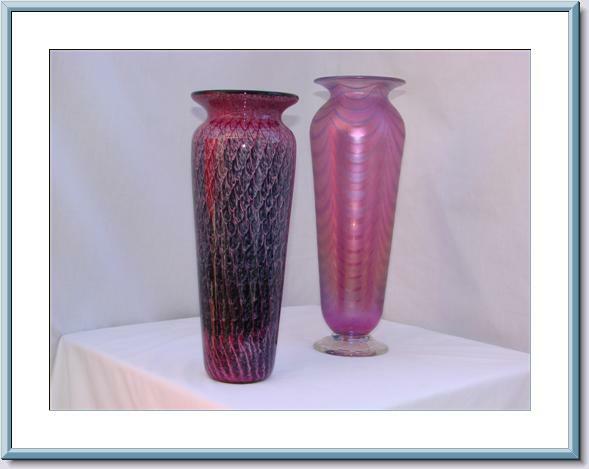 His work was included in the touring exhibit for the Year of American Craft in 1993, and designed and produced the 2004 and 2005 Susan G. Komen Race for the Cure® regional awards.